This was a special year—our 35th anniversary and Roger’s 60th birthday– and our search for a celebratory travel experience brought us to Holland America’s Northern Isles Adventure, a 17 days cruise that took us to some of most spectacular scenery on earth. We traced the pathways of the Vikings across the Atlantic and learn more about the meeting of cultures and life based on the sea. There would be dramatic landscapes created by volcanic eruptions and sculpted by glaciers. We stood where two of the earth’s tectonic plates meet and land expands with upwelling magma. There were bustling cities, charming villages, remote islands, and pristine wilderness. All this without the distractions of checking in and out of hotels, arranging complicated transportation, or even being concerned about meals! Instead, we stretched out to the sounds and rhythms of the waves, enjoying pure North Atlantic sea breezes, fine dining, and gracious service at far less cost than an arduous point-to-point journey. Travel tip: By sailing westward, time zone changes add hours to your cruise and avoiding jet lag. 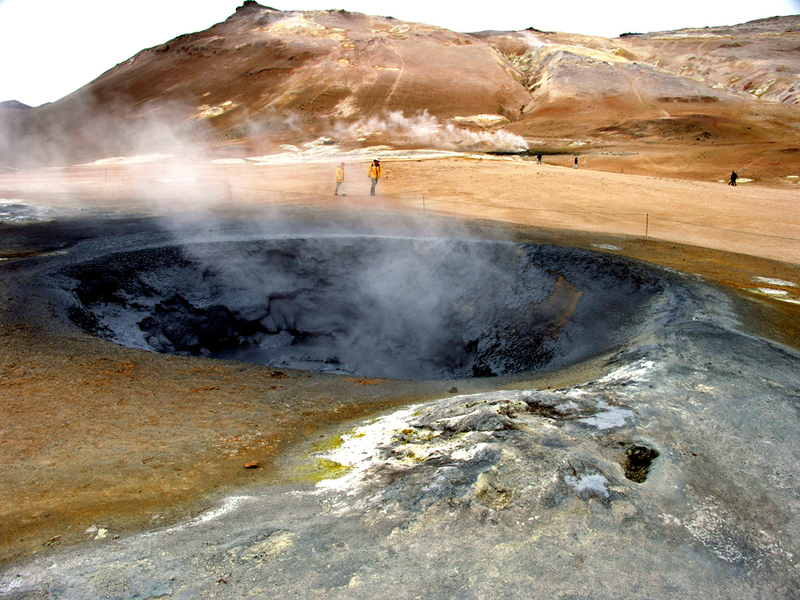 It is said that when the Vikings first saw Iceland–with volcanoes, black lava fields, sulfurous steam, and bubbling mud pools– they thought they had discovered the entrance to the Netherworld. It was 874 when Ingólfur Arnarson threw two pillars carved with images of pagan gods overboard, and, according to custom, settled where they washed ashore. He named the area Reykur (smoke) vik (bay) for steam rising from the ground. Today’s Icelanders can trace their ancestry back thirty-four generations to these early explorers. The language is little changed from Old Norse used in the millennium-old stories of Viking voyages and power struggles of the Icelandic Sagas. The best known of these Vikings, Leif Eriksson, was born in Iceland and lived in Greenland. He was the first known European to explore the New World when he landed in what is now North America 1001 A.D. The island republic of Iceland is just south of the Arctic Circle is a naturally beautiful geologic wonder with old world charm and modern Scandinavian comforts. Icelanders enjoy some of the world’s purest air and water, one of the lowest crime rates and population densities, high quality national health care and free education. Natural hot water serves as a non-polluting, low-cost source of geothermal energy for homes and greenhouse horticulture. The highly literate and multilingual residents enjoy one of the world’s highest life expectancies, levels of education, and per capita income. More books are written, printed, bought, and read per capita than anywhere else. And Icelanders know how to have fun. The energetic capital, Reykjavík, is known worldwide for its cultural attractions and nightlife. Most people live along the coast. The Gulf Stream makes winters in the south and west warmer than in New York. Trees are so scarce it is said that if you are lost in the forest, just stand up. The Highlands are uninhabited wilderness accessible by specially outfitted 4WD vehicles in warmer weather, and should be toured only when properly outfitted and with experienced guides. Pressure between the European and North American plates creates volcanic activity and the greatest mountain range in world, dividing the Atlantic down the middle. Only in geologically young and seismically active Iceland can you see what’s happening without getting wet. We visited three ports in this ethereal land where Jules Verne began his Journey to the Center of the Earth. The largest lava field on earth is found in this major town and seaport of northern Iceland. By the 18th century, ten Danish traders resided here. The herring fishing industry grew, as did Iceland’s largest retail cooperative society. Fishing and trawling, canning and freezing of large fish, weaving, tanning, brewing, and tourism support the current population of over 16,000. Akureyri Church dominates the city with its stark modern architecture, and there is a botanical garden with amazing diversity for a city so close to the Arctic Circle. Some old wooden homes are now museums, most notably Fridbjarnarhus, the Good Templar’s Museum, from the days of the Crusades, and Nonnahus, the Nonni Museum, early home of children’s author John Sveinsson, whose stories of growing up in Iceland were published in over thirty languages. One of the ship’s excursions is a polar flight to Grimsey Island, population 115, known for long dark nights and chess champions. Godafoss: “God’s Waterfall” –where the local chieftain marked the conversion to Christianity by throwing away pagan artifacts. Jökulsárgljúfur National Park— a landscape of mountainous ruins and lava formations, with echoing Hljódakletter basalt rocks, distinctively red mountain, Raudholar, and horseshoe-shaped canyon Ásbyrgi. Beware! Legend has it hidden people live in the cracks. Dimmuborger— a labyrinth of lava outcroppings, often referred to as black castles. Stóragja and Grjótagja—pools of natural hot water in underground caves. 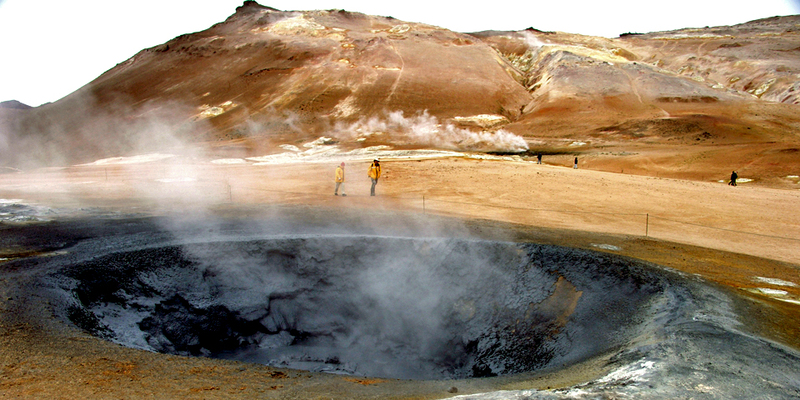 Krafla— a caldera last erupting in the 1980s, in an active volcanic area with a Viti crater, believed at times to be the entrance to hell. Námafjall—Sights, sounds and smells at this high-temperature geothermal red and yellow valley are mesmerizing and other-worldly– purple boiling sulfur pits and fumaroles with an eerie whistling sound from steaming hydrogen sulfide gas. Stay on the path or you could fall through the thin crust! Húsavik—picturesque little fishing town and center for whale watching. Laufás, a settlement going back to pagan times, has gabled farm buildings in typically Icelandic side-by-side style, part of the National Museum. 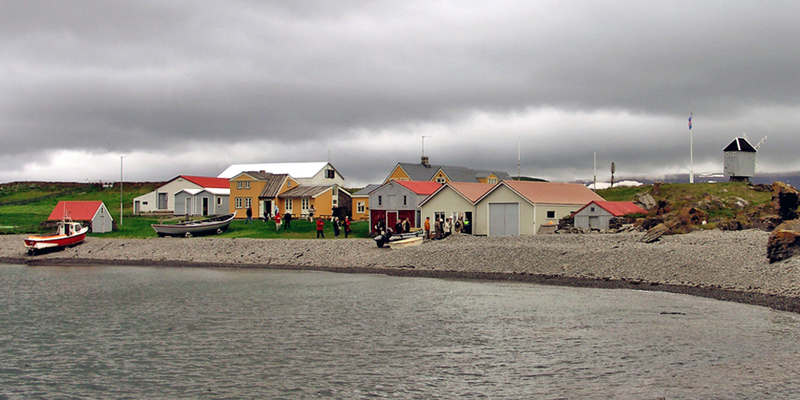 In the westernmost part of Europe is Ísafjördur, commercial and fishing center of Westfjords, linked to main island by narrow isthmus. Brightly painted timber homes of the three or four thousand residents are surrounded by pristine wilderness. The Folk Museum is a highlight. Shops feature handmade woolen sweaters and pottery incorporating crushed lava. This remote area rich in fish, bird life, and culture attracted worldwide attention with the controversy over whaling. Shore excursions are offered to the fjords, mountains, and tiny villages. 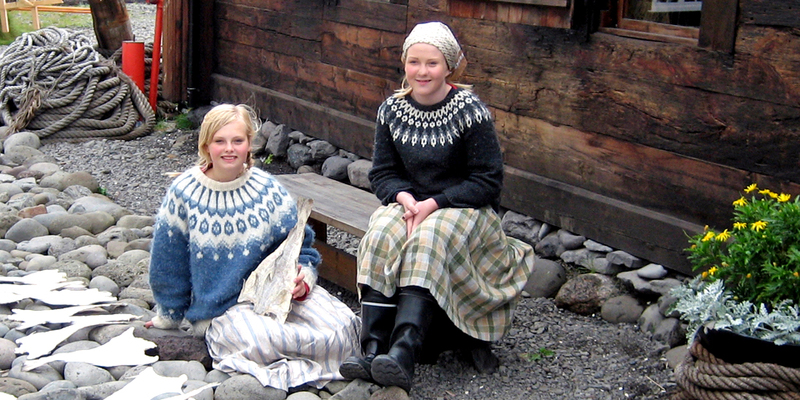 Icelandic girls demonstrate the drying of fish outside 18th century buildings of Danish monopoly merchants at Hnjotur, the West Fjords Folk Museum. Recommended tour—the excursion by local boat to tiny Vigur Island, where Hugrún Magnúsdóttir opens her home to visitors wanting to learn about her family’s unique life collecting down from the century-old family-built stone wall where 3600 eider ducks return to nest each spring. There are only ten human inhabitants but thousands of birds on Vigur Island in Iceland’s Djupfjord. In summer, about 80,000 puffins revisit their mates and underground nests, adding to the food chain. During the harsh winters, down is cleaned and cows are tended. We sipped coffee made from the island’s fresh water and savored homemade pastries inside the delightful 19th century family home, reminiscent of Carl Larsson paintings, while university student and accordionist Helga Guðmundsdóttir regaled us with popular folk and patriotic songs. At the end of the day, we sailed in the Isafjörd toward the Northwestern tip of Iceland and headed south for Reykjavík. This northernmost capital in the world is perhaps best known to us for warm woolen sweaters and the 1986 disarmament talks between Reagan and Gorbachev. A majority of Iceland’s population lives in this rapidly expanding city. For an urban experience, take the Holland America City Tour or buy a Reykjavík Welcome Card at the Tourist Information center for admission to museums, galleries, and all seven of city’s thermal pools, as well as free Internet access and unlimited Reykjavík bus use. Shoppers enjoy browsing along Skolavodustigur for art work, woolen items, pottery, and jewelry. For a revitalizing adventure like no other, simply relax, perhaps with a massage, in the renowned Blue Lagoon, set amidst a black lava field, with warm geothermal waters rich in silica and other rejuvenating minerals. Recommended Tour: The Golden Circle Tour, booked onboard or independently in advance, is an unforgettable drive past mossy lava landscapes, glaciers, villages, lush farmland, and stark wilderness. It’s an opportunity and to peer inside the volcanic crater Kerid, and walk around a steaming geothermal field. Iceland Travel offers a full range of options, and we maximized our day by pre-arranging a customized independent car tour with an experienced guide. UNESCO World Heritage site Thingvellir (“Place where people gather”.) National Park, — site of one of world’s oldest parliaments, established 930. 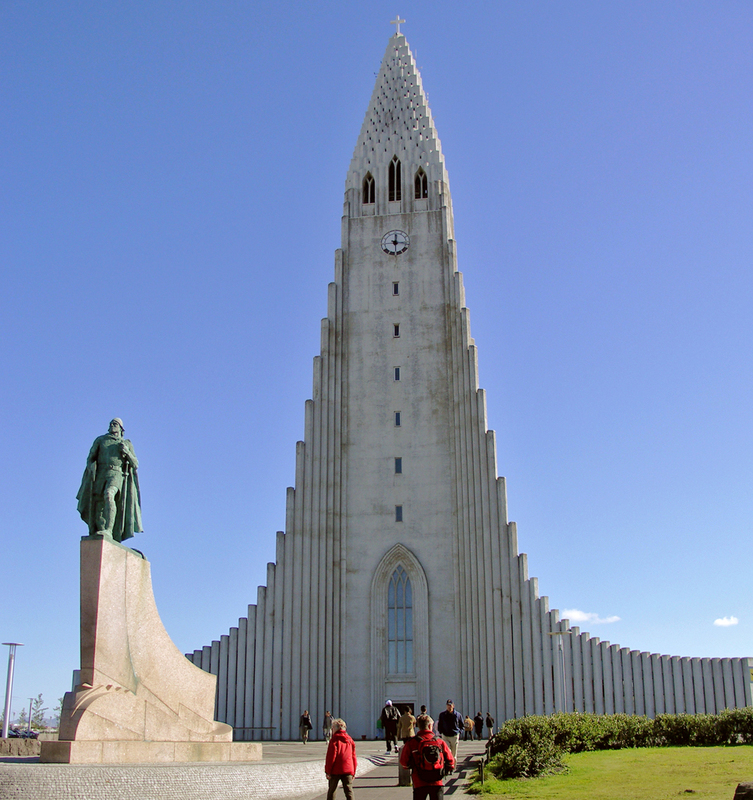 Here Christianity was adopted in 1000AD and the founding of Icelandic Republic was celebrated in 1944. Walk a dramatic landscape where tectonic plate boundaries produce spectacular rifting and expansion of the earth’s crust. 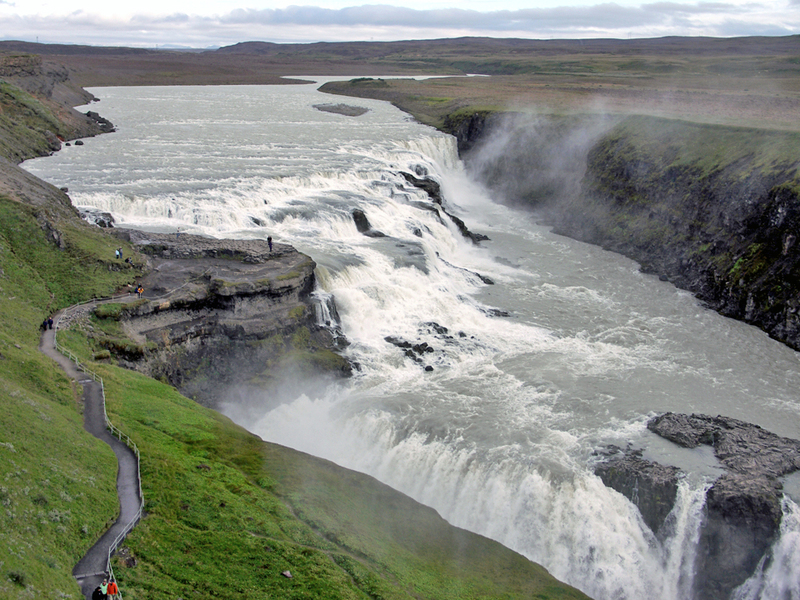 Gullfoss, “Golden Waterfall”– saved from power plant development by a farmer’s daughter. Waters of the Hvita River from under the glacier Langjökull fall over 100 feet in two stages into a long, deep canyon, and the spray creates breathtaking rainbows in the afternoon sun. Skálholt— once the cultural and ecclesiastical center of Iceland and site of a church since Iceland’s conversion to Christianity. Nearby Mount Hekla is a volcanic ridge that last erupted in 2000. Your trip might also include a visit to the geothermally heated greenhouses in Hveragerði, to the charming south coast fishing village of Eyrarbakki, where the oldest house, Húsid, dates to 1756, or to the black sandy beach at Stokkseyri. 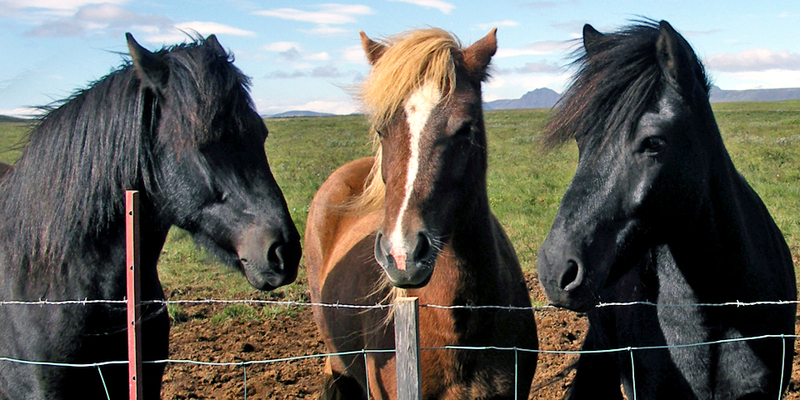 Or take a ride on one of the Icelandic horses, descendants of those brought by early Viking settlers.